A Former Detective Sergeant, Simon Illingworth was bashed, threatened and intimidated by bent cops and underworld criminals, all in the line of duty. His life gives dramatic insight into Melbourne’s gangland war and the ugly world of police corruption. Simon appeared on ABC’s Australian Story which won journalism’s Gold Quill, and his book Filthy Rat is an Australian best seller. 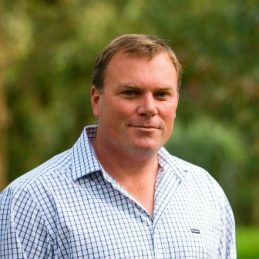 Simon has received numerous awards for bravery and leadership from organisations including Victoria Police, the Royal Humane Society and the Sir Vincent Fairfax Fellowship, as well as the Governor of Victoria. Simon uses his natural story-telling ability to get the message through. International studies have found this to be the best method of getting an idea to ‘stick’ and Simon uses this technique to address, challenge and build the right organisational culture. Simon is a Director of Ethical Strength, a professional speaker, a training provider in ethics, decision making and culture, and a specialist in anti-crime, anti-corruption and ethical culture whose opinion is highly sought-after in TV and print media. He is also the creator of an ‘ethical farm’ as a best practice model to co-exist with organic farming.